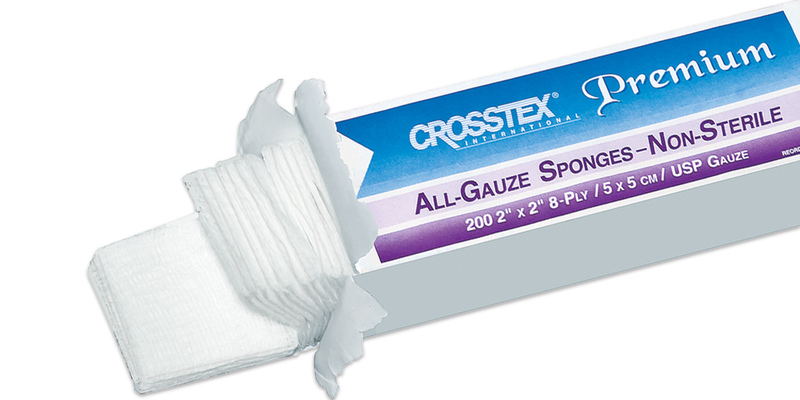 Highly absorbent 100% gauze sponges. 8-ply. Unfilled and non-sterile. Contains: 25 sleeves of 200 sponges ea. Contains: 20 sleeves of 200 sponges ea.